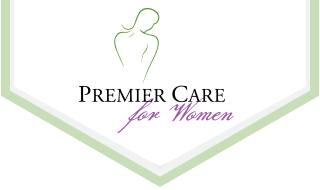 All of the midwives services at Premier Care for Women are supervised by Dr. Gary Newman who is board-certified as an osteopathic obstetrician and gynecologist. He is the physician that our nurse practitioners contact when there are complications during a woman’s pregnancy or delivery. Dr. Newman also provides an assortment of diagnostics, treatments and procedures for women. The women who visit this facility will go to Banner Del Webb Medical Center located in Sun City West, Ariz., to have their baby in a comfortable suite where spouses and families can gather to wait for the new arrival. Midwives have traditionally delivered babies for hundreds of years, but with our approach, we are near to a hospital if an emergency occurs that requires intervention with additional care from Dr. Newman or a surgical team. When a problem such as a breech birthing position or too much bleeding happens, we are able to transition women quickly to a different area of the hospital. However, most women enjoy the relaxed atmosphere of a birthing suite along with the professional attention from our midwives. In a suite environment, women feel more relaxed, and a spouse, parents or children are able to stay nearby to experience the miracle of birth. For a woman who wants to have a more natural birthing experience, having a baby with midwives Surprise AZ has certified is a perfect choice. Not only does a woman have an opportunity to have a baby in a soothing place surrounded by other women, but also, she is completely safe because modern medical equipment is nearby if a problem occurs. Need a New OBGYN or Gynecologist in Surprise AZ? In "News"